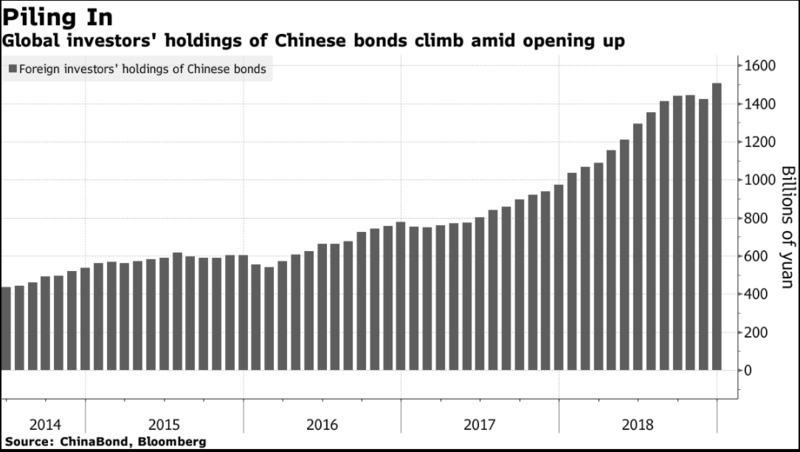 The imminent arrival of a new group of investors in China’s domestic bonds is set to strengthen the hand of reform advocates in the world’s third-largest debt market. With overseas holdings already at record levels, the April 1 inclusion of a slice of China’s near-$13 trillion of onshore bonds in a key global index will usher in fund managers who use the benchmark to assemble their portfolios. Strategists see $100 billion or more flowing in in 2019 and for years to come. That will make the foreign investor community an increasingly significant stakeholder in China’s financial system. Foreigners are already making demands, including readily available hedging tools, more transparent and faster registration procedures and — less loudly, given the sensitivity — assurance they’ll be able to take their money out when they like. Their voices are set to become more important as their share of the domestic market climbs from little more than 2 percent today. 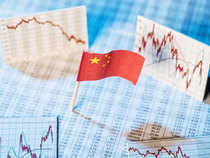 “As more people become part of the yuan asset market, it requires China both to reform and to improve its domestic regulatory structure to ensure the healthy development and efficient functioning of its financial market,” said Linan Liu, a greater China rates and foreign-exchange strategist at Deutsche Bank AG in Hong Kong. It all helps in “upgrading domestic financial regulation,” she said. 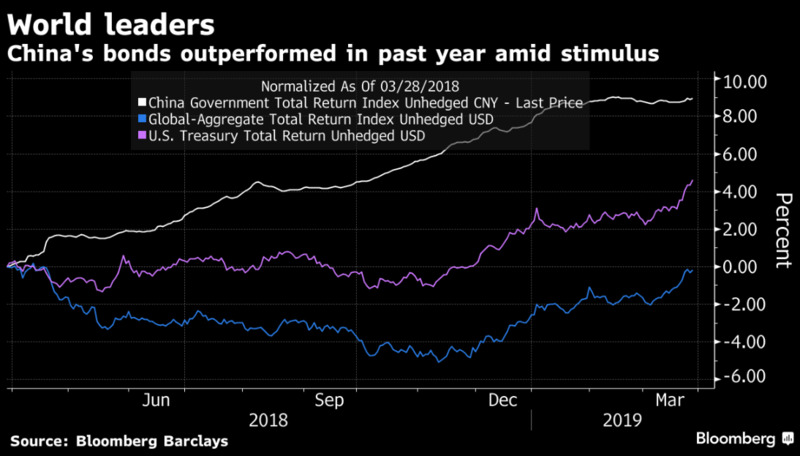 The fresh impetus comes from the phased inclusion of Chinese sovereign bonds and debt sold by three key state-owned policy banks into the Bloomberg Barclays Global Aggregate Index, starting in April 1. Up to now, inflows have been dominated by central banks and sovereign wealth funds. Now private-sector managers following the index will start joining in. Morgan Stanley sees as much as $120 billion going into China’s government bond market annually from 2020 to 2030. Deutsche Bank’s projections suggest foreigners will own as much as a fifth of central government debt in five years. Index inclusion will challenge the status quo of how China’s financial markets are managed. With tight capital controls, a wide range of interbank liquidity tools and daily reference rates on the yuan, Beijing has the power to dictate the level of borrowing costs and where money flows. But the costs of any unexplained policy change will rise, should it spook the new class of investors to pull their money out. In the aftermath of a shock yuan devaluation in 2015, Chinese authorities intervened heavily in the currency market and engineered a cash crunch in Hong Kong to punish bearish speculators. That kind of heavy-handed approach remains a concern for investors looking to diversify into China’s bonds, which last year offered some of the best returns globally. Yields on China’s 10-year government bonds have dropped about 16 basis points this quarter, to 3.06 percent — near the lowest since December 2016. To help hedge against risks, fund managers are pressing for more interest-rate derivatives and a developed futures market, which in turn would help address relatively low liquidity in Chinese bonds that tend to be bought and held by banks. Foreign investors and Chinese commercial banks are barred from trading futures contracts on sovereign notes. “For overseas institutions, they still lack operationally strong derivative tools,” said Felix Sun, head of fixed income in Shanghai at UBS Group AG. He also indicated trading will be challenging — “most of the 300+ bonds to be included in the index are ‘inactive old bonds,”’ he said of the plans for the Bloomberg Barclays benchmark. Other index compilers are also looking at adding Chinese bonds. FTSE Russell will announce in September whether it will include government debt in its flagship gauges of sovereign bonds, and JPMorgan Chase & Co. has also placed onshore notes on watch for inclusion in some of its indices. Bloomberg LP owns Bloomberg Barclays indexes and Bloomberg News.